← Is a Storage Container Too Small to be a Home? Why Start With A Steel Container? Perhaps it is the humble nature of the cost-effective container that creates an air of honesty and friendliness. Perhaps the fact that our steel containers are highly recyclable entices passers-by to patronise the eco-friendly establishments that make use of them. Or maybe it’s the seemingly ephemeral nature of pop-up businesses that make them seem trendy and cutting edge. Whatever the reason (perhaps all of the above), businesses run from storage containers can be very profitable. The most identifiable reason as to why steel containers are so popular is largely to do with their cost-effectiveness. Containers are far cheaper than buildings, and this saving could be the difference between whether a business will make or break in those first few months. We’ve had a lot of practice at designing and creating the perfect pop up containers for a range of businesses. Our bespoke solutions will also ensure that your business is as close to your vision as possible. We understand that an open-plan container can cause some establishments security concerns, but we make it our mission to provide you with fully lockable and secure containers. Some businesses are better suited for life in a shipping container than others, but all industries can benefit from a shipping container in one way or another. 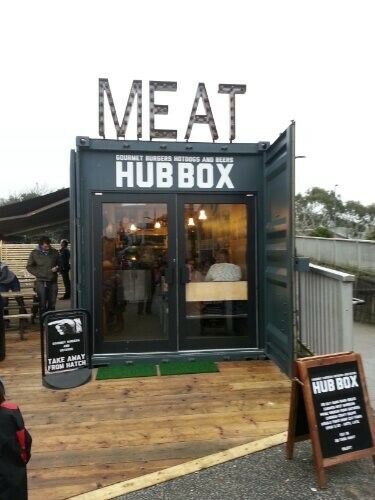 The only thing between your business and successful implementation of a shipping container is ingenuity. A miniature coffee shop can be right at home in a shipping container, especially with an awning to facilitate some additional sitting space in good weather. Going for an indie look with your container coffee shop can be a good way to target a coffee-loving audience. High-end container coffee shops are currently being led by Starbucks, who are recycling their own shipping containers to make landmarks recognised by local communities. These containers are insulated with reclaimed materials and vary in size, ranging from drive-thrus to small cafés. 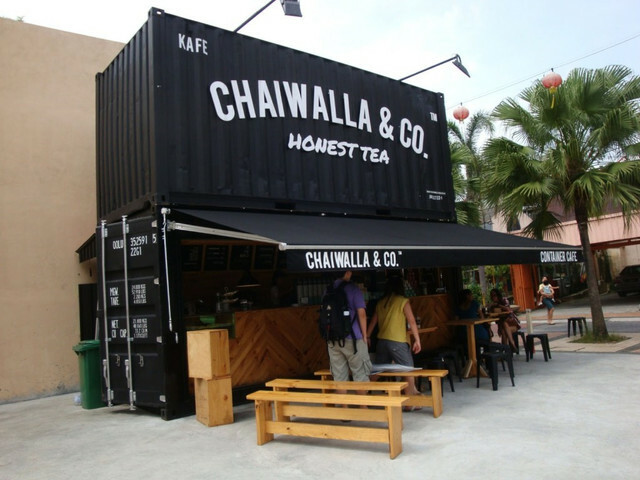 Shipping Containers give the owners a lot of freedom in terms of design, as they don’t meet the same requirements as houses, and Starbucks have shown that you can make shipping containers look very attractive through their sleek and modern designs. The key to shipping container success is partially down to designing your exterior to pique your customers’ curiosity, but you also need to think about keeping your interior clean and tidy. A lot of people find it difficult to think whilst surrounded by clutter, so if you want your customers to be able to focus on the products that you’re offering them, you will want to give those items some room. Puma and Coca-Cola have both launched clothing shops from containers, and both examples treat their containers as elaborate display cases to really sell a select few products to a captive audience. Keeping your store tidy makes sense, and these clothing stores know how to make the most of a small space. Perhaps your business is office-based and you’re looking to expand – shipping container buildings can be the perfect solution for a short- or long-term solution. We sell containers, but we also offer steel container hire in London. Remember that whatever you’re building, it’s always important to seek planning permission rather than risk losing your establishment or home. You will also want to be wary of modifying containers too much – cutting large sections out of the container can be costly, and it may require some reinforcement from steel beams. If you’re looking for a leading specialist in all types of site accommodation and steel storage units, contact us to see how we can help. We pride ourselves on our ability to offer bespoke solutions, as well as speedy service and delivery times. This entry was posted in General, Steel Containers. Bookmark the permalink.